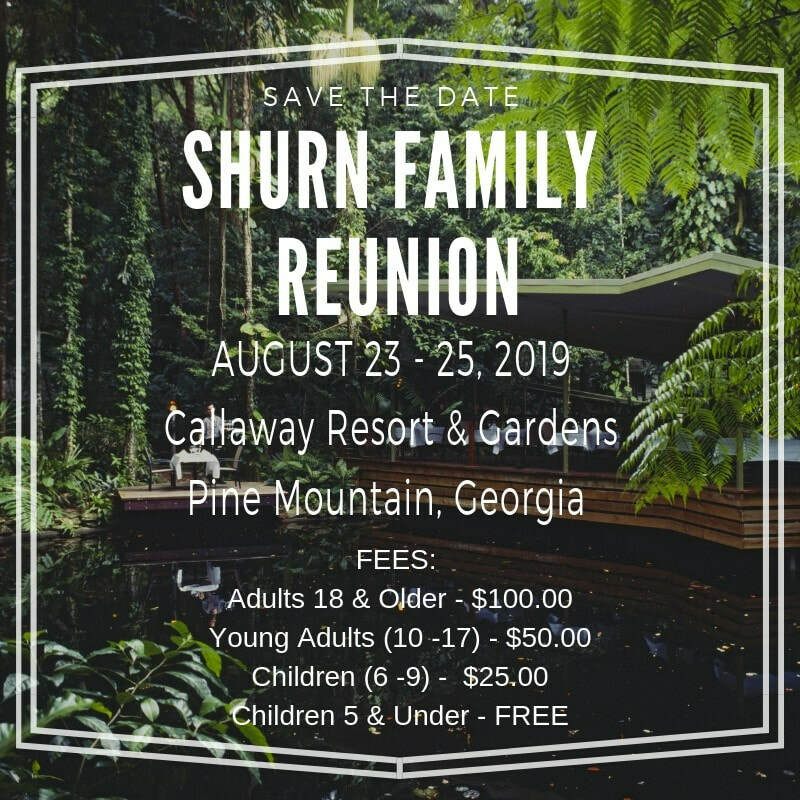 We are excited to host the Shurn Family Reunion in Pine Mountain, Georgia. The 2019 Reunion is scheduled for August 23 – 25, 2019 and will be held at the Callaway Resort and Gardens. This beautiful resort is approximately 73 miles (1.13 hours) away from the Hartsfield-Jackson Atlanta International Airport. The Lodge rooms are very similar to standard hotel rooms, where as the Cottage is a small house. We have reserved the bulk of the rooms in the cottages. Please see the resort property map to better understand the properties. Mountain Creek Inn $99, outside resort with free admission in the resort w/breakfast. Also note the two bedroom cottages are condominiums. We encourage family's to share these cottages no limit per room to stay.